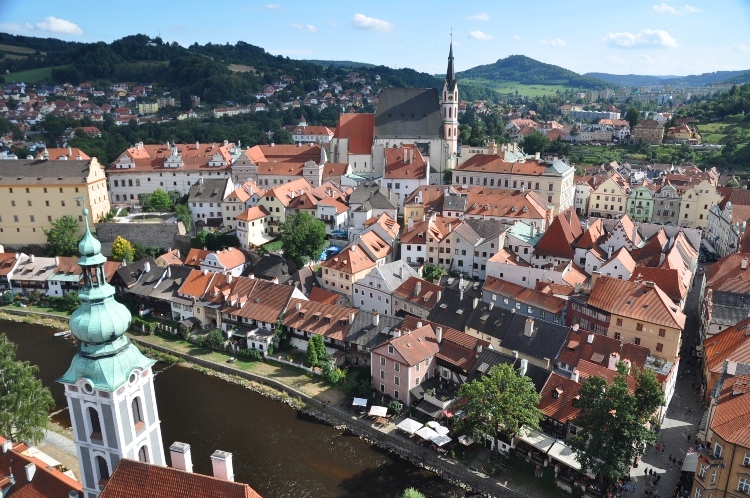 Cesky Krumlov is a UNESCO World Heritage site 2 good hours south of Prag, Czech Republic. The refreshing Vltava river runs through this lovely Renaissance town. The colored castle tower is the highest point and symbol of this town. From there, the view is absolutely stunning. This tower also houses the castle's museum. 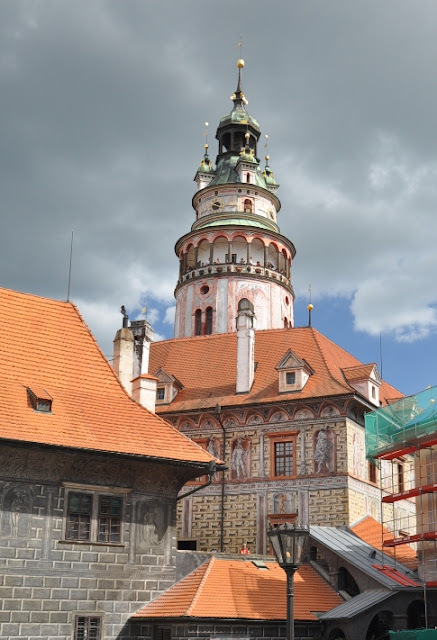 The Rosenberg, Eggenberg and Schwarzenberg families have ruled in this castle from 1302 to the 20th century. 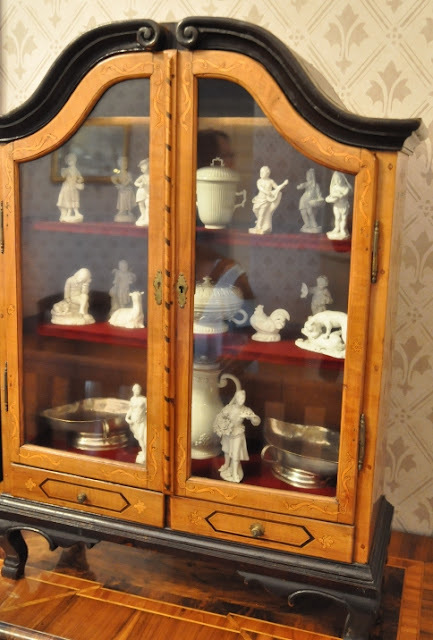 The tour of the museum shows us what it was like to live a life of luxury in the past. 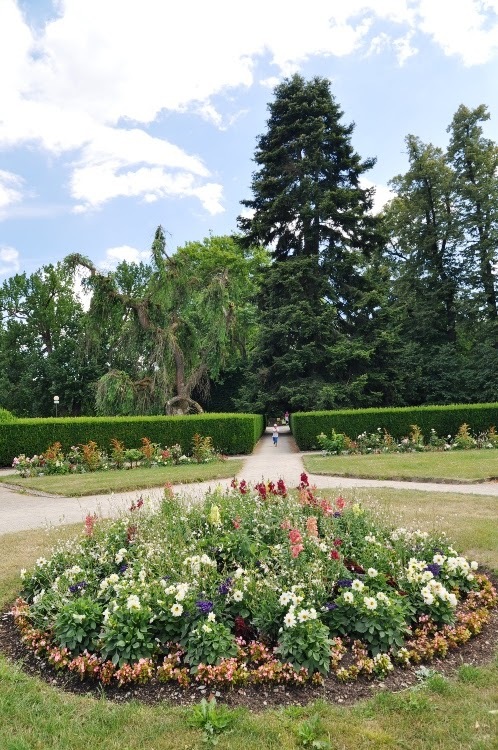 La vie de chateau. The dining room has a large collection of various porcelains from Europe, China and Japan. 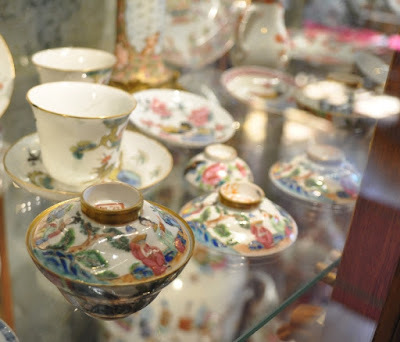 It's not always easy to tell the early European porcelain apart from the Chinese, because we used to imitate the Chinese styles and paintings! This visit reminded me of my blog post about the Favorite Palace 4 years ago. Well preserved European castles are excellent places to find genuine ancient Chinese porcelain and teaware. 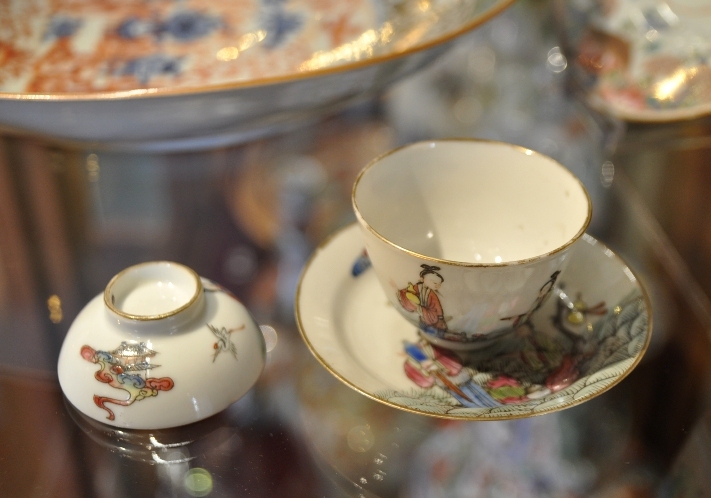 They show that the tea link between China and the West has been strong for several centuries. And it also shows that today's gongfu cha drinkers are enjoying the same pleasures as those of a castle lifestyle! Let's imagine it's 'Night at the Museum' in Krumlov! It's not the statues that would come alive, but the teaware! How about using this Yixing zisha teapot shaped as a flower? Early 20th century Yixing zisha teapot with qinghua enamel decoration. These tiny gaiwans are so cute! I promise I won't break them! Their paintings are so delicate and detailed. In a museum, it's not always easy to relate to ancient paintings or items on display. But with teaware it's so easy to imagine using them! And while most old artefacts have been continuously improved with time, it's pretty obvious to realize that this hasn't been the case with teaware. 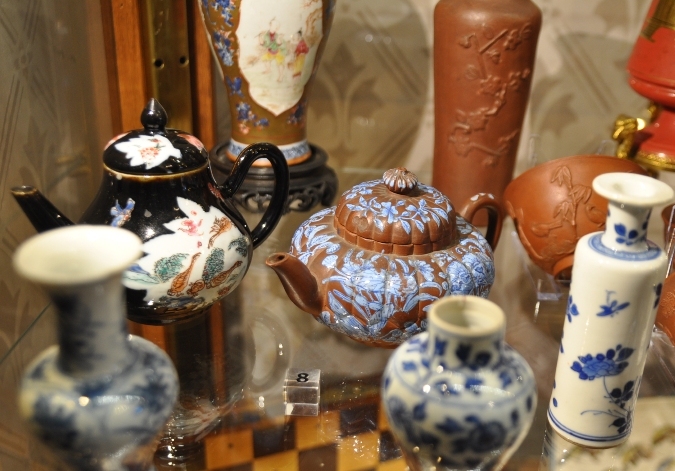 This is another reason to become interested in ancient teaware. We learn to appreciate beauty with the classics. Krumlov is another good example that European museums offer great opportunities to explore and hunt for (pictures of) marvelous pieces of porcelain and Yixing ware. And it also has an old town and superb Renaissance garden waiting to be discovered!